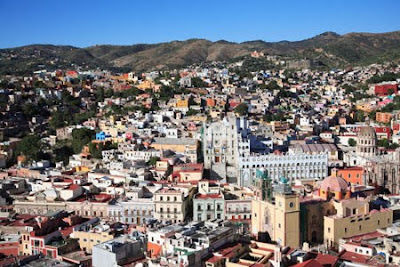 Guanajuato, nestled in the mountains of Mexico’s colonial heartland, feels and looks like a small laid back southern European city. Unlike Europe it is devoid of the bus loads of tourists and high prices that typically go hand in hand. It is pollution free and its charming cobblestone streets clean. The architecture of this silver mining city may be influenced by the Spanish but the colors are divinely Mexican--cobalt blue, lime green, bold oranges and citrus yellows. A World UNESCO Heritage Site, there is plenty to see. 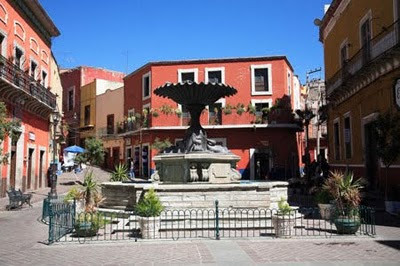 Sites include its basilica, theater, the beautiful Universidad de Guanajuato and the house where Diego Rivera was born. A former granary building complete with hooks where revolutionaries’ heads were hung, was the site of a rebellion during the War of Independence and is now a museum. But the real joy is walking its steep cobblestone pedestrian alleys which if you have the energy reward you with beautiful vistas if you venture high enough. A chorus of roosters who crow throughout the day will cheer you on. Turn a corner and you come across another beautiful square with fountain and cafes, where you can rest and sip a café con leche. 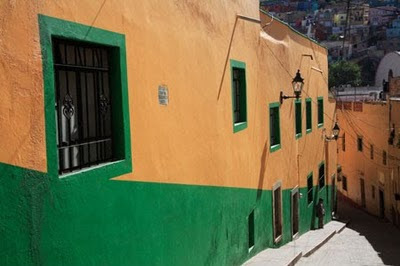 Guanajuato is about 3-4 hours from Mexico City and well serviced by Mexico’s intercity bus services. Entrance to the city center is through a subterranean traffic tunnel, once a riverbed, which snakes through the city center for a few kilometers. 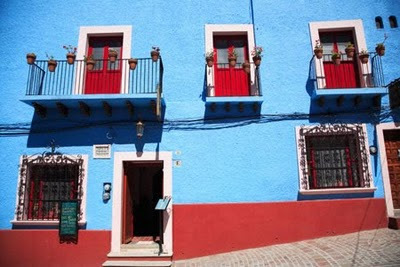 We stayed in the heart of the hills at bread and breakfast Casa De Pita for 130 pesos a night. The same family has owned the building for many generations. Ask the host about her other location a few minutes walk up the hill, a full casita which we rented for about 550 pesos for the second night. Lakshmi, You would love it I'm sure.